The original and BEST edible Jello slime recipe is only 3 ingredients and changes color when you mix it! Growing up, I loved playing with slime! Though in my day, our options were a bit more limited because we didn’t have the internet with thousands of different recipes to choose from. When the latest slime craze hit a couple years ago, most of the new recipes I found were made with glue, borax, liquid starch, etc. 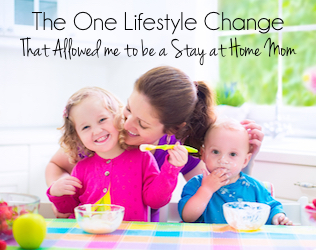 Since my youngest daughter was only two years old at the time and still liked to stick everything in her mouth, I wanted to find a safer alternative. Because obviously she wasn’t going to be happy just watching her older sister play with slime! 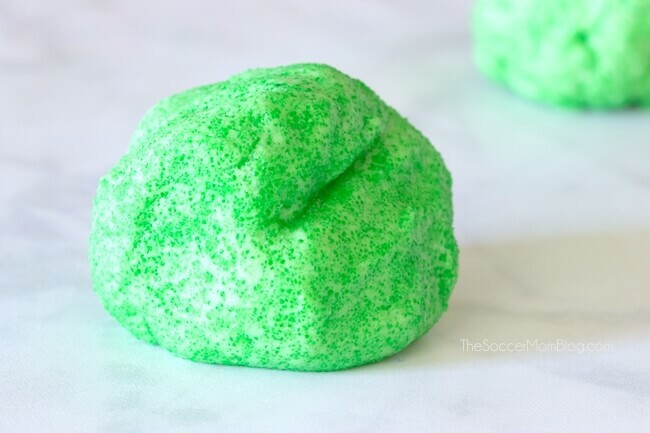 That led me to create our first edible slime recipe, which was a fun spin on the oobleck I played with as a child. 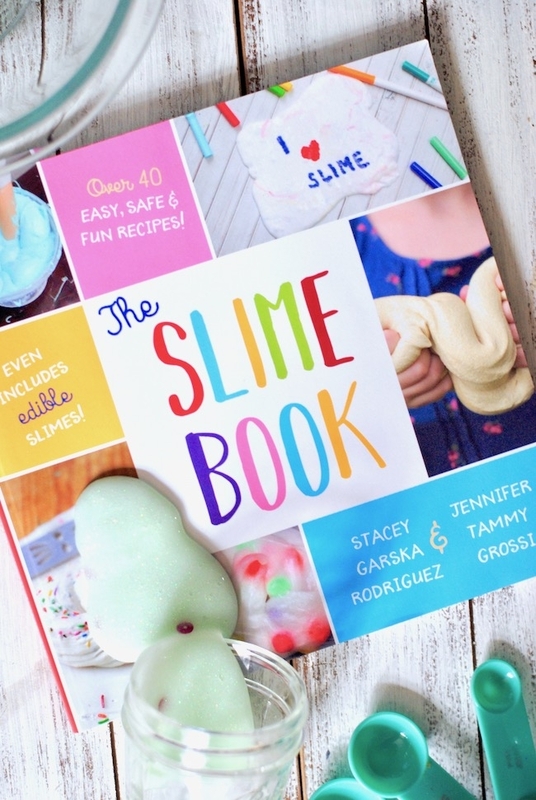 It was such a smash hit with other parents of young kids that we kept experimenting with other edible slime recipes — pudding slime, chocolate slime, and even edible glow in the dark slime! We even tried edible pizza slime – and that got a LOT of comments, both good and bad! But we thought it was super fun! This Edible Jello Slime is an updated version of our very first edible silly putty recipe, which used sugar free gelatin mix. 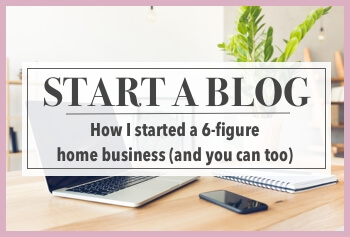 At the time, there was nothing like it on the internet, and I’ve still never found a better Jello slime recipe! For this Edible Jello Slime, we made it a little bit thicker than our first version, which was more like oobleck in consistency. It’s squishy and putty-like in texture, and just like our original Jello slime, it changes color when you mix it. So cool! So without further ado, this is the original and in my humble opinion, the best Jello slime recipe out there! 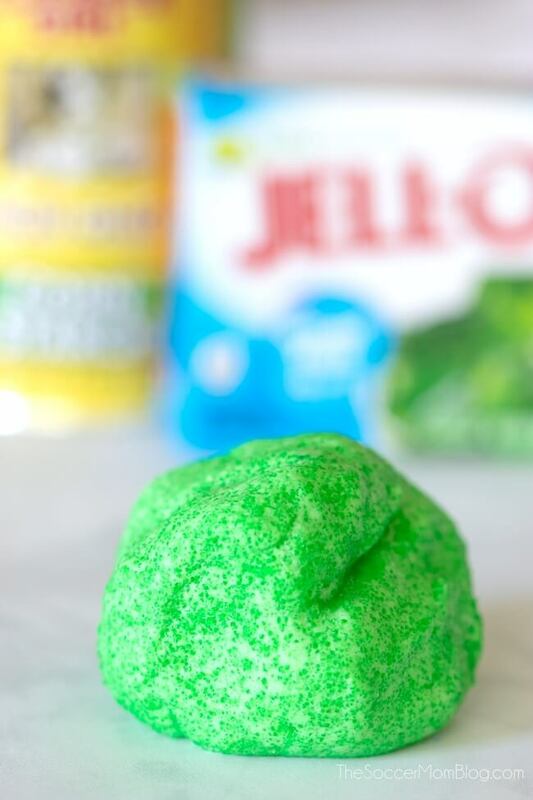 A couple months ago, JELL-O introduced a line of edible slime mixes that looked very similar to our Jell0 Slime recipe. They sent us a couple flavors to try – click here to see what we thought about JELL-O Play Slime! For your convenience, I’ve included shop-able ad links to some of the items used to make our edible Jello slime recipe; read our disclosure policy here. Watch this quick video tutorial to see how we make our edible Jello slime, then keep reading for full photo step-by-step instructions and slime making tips! 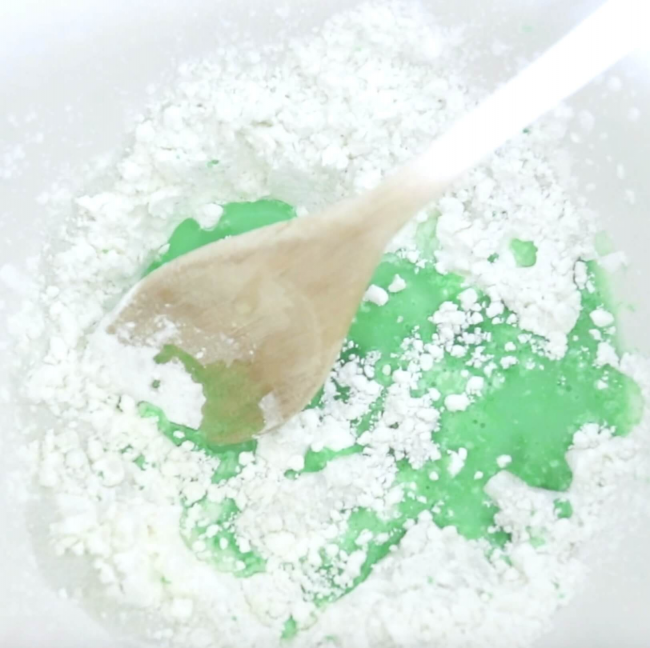 Combine cornstarch and Jello powder in a medium mixing bowl. TIP: You can use either regular or sugar-free Jello, however, I find that sugar-free is a little less messy because it doesn’t stick to hands so much. Start by adding 2 tablespoons water to dry ingredients. Stir until a paste begins to form. Your Jello slime will also turn from white powder to a bright color at this point too – so much fun to watch! Continue to add water little by little until the silly putty clumps together instead of sticking to the bottom/sides of bowl. We like to make our Jello slime thick in consistency so we can pick it up out of the bowl to play with it. Related: This post from JDaniel4’s Mom provides ideas to explore the five senses with your Jello slime. 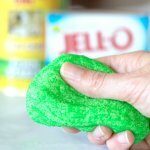 If you wash hands thoroughly before playing with your Jello slime, you can store for another day or two in the fridge. Keep in a sealed container and always check for signs of mold before playing, as this is made with food-based ingredients. (We do recommend refraining from tasting if you play with it a second time). When playing again, simply rehydrate with a teaspoon or two or water and squish until slime softens. I just want to mention that even though I call this “Edible Jello Slime” I’m not advocating serving it as a snack for kids. 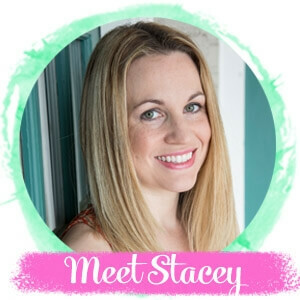 It’s simply meant to be a taste-safe alternative to glue-based slime for younger kids. So if they DO taste the slime it won’t hurt them. And it’s fun! There are three starter slime recipes that form the base for hundreds of awesome slime variations, like this Jello Slime Recipe. 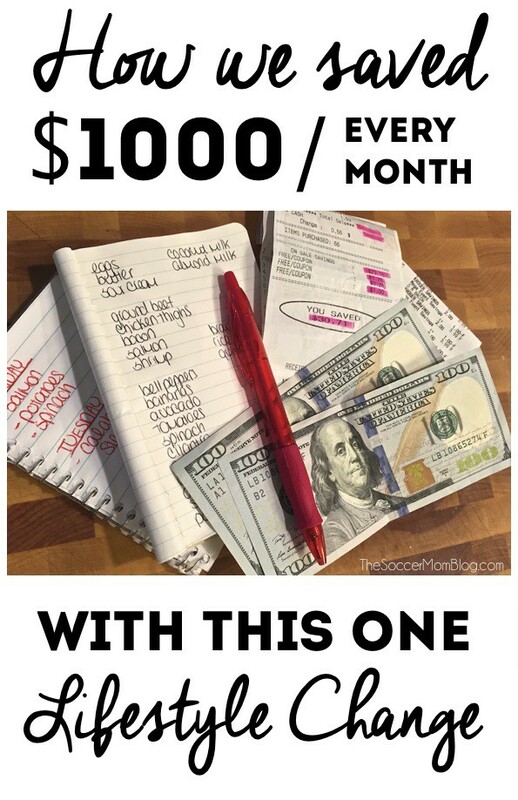 Once you master these basic recipes, you can make almost anything! You can’t really “mess up” making edible Jello slime. 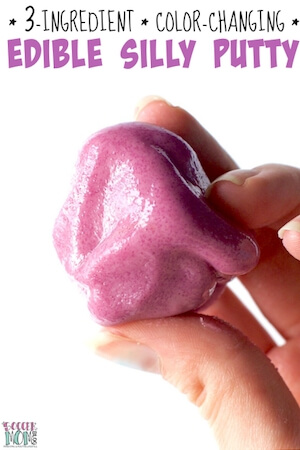 If your slime is too runny or sticks to hands excessively, simply add more cornstarch until it thickens. If your slime seems too thick and won’t squish, add a bit more water. If your Jello slim begins to dry out or crumble, add a teaspoon of water and squish to rehydrate for more play time! “Cool” colors like green, blue, and purple are less likely to stain hands than “warm” colors like orange or red. Just a note: this Jello slime is taste-safe, but it’s not a food item and not meant to be eaten in large amounts. Always supervise young children when playing with this silly putty. Keep in mind that this gelatin slime is made with food based ingredients, so it won’t necessarily have the same super-stretching properties as glue/borax slime. However I love knowing that my girls can play with this Jello slime safely and they love it too! Whisk together cornstarch and Jello powder in mixing bowl. Start by adding 2 tablespoons water to dry ingredients. Stir until a paste begins to form. Continue to add water a Tablespoon at a time until the silly putty clumps together instead of sticking to the bottom/sides of bowl. One of our readers sent us this simple tip for mess-free slime play and we loved it so much that we asked if we could share! 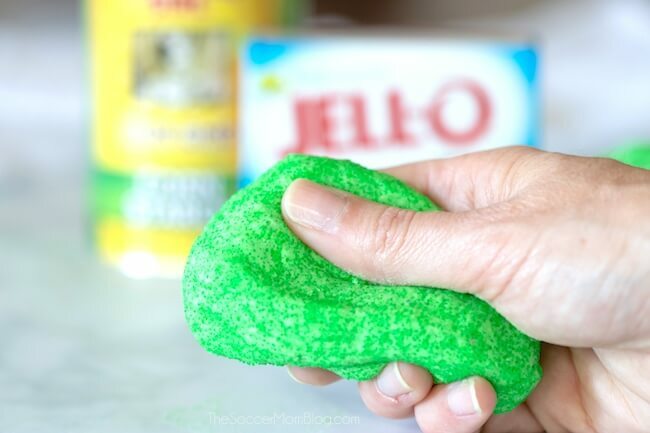 Simply scoop your Jello slime mixture (or other slime) into a plastic zipper bag and seal. It’s also perfect for kids that don’t like sticky hands and it keeps slime from drying out as quickly. Win-win! See them ALL: Check out our Master List of Edible Slime Recipes for Kids here! We mixed and heated ours on the stove and ended up with a consistency more like playdough. My kids loved it. We’ve never tried to heat up our Jello slime before – will have to give it a go! Thanks for the suggestion!